So hard to believe that the summer is 1/2 over. There is only 42 days until school starts…but who’s counting? For the last few weeks, Munchkin has been trying out DreamBox Learning’s Online K-3 Math program. This came at just the right time. Munchkin’s final senior kindergarten report card came back with “exceeding expectations” for reading (she’s reading at a grade 2-3 level). I struggled with math as a kid and I really don’t want her to either. 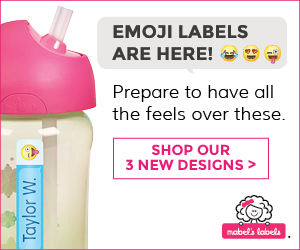 It is a very neat program that adapts to each child. First I had to set up a profile for Munchkin which included what grade she was currently in. When she signs into the “game” it gives her different storylines that she can follow and as she progresses, the math gets more challenging. But if she completes different problems with ease, the software progresses a bit faster. 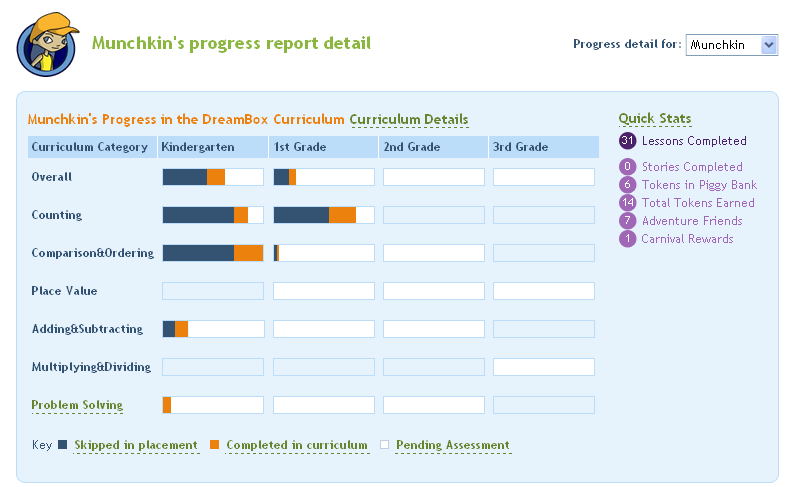 DreamBox has a Parent Dashboard that allows BigDaddy and I to log in and see how she’s doing! It gives a detailed report about what is is learning and those areas that she was exempted from. As you can see, she’s already working on Grade 1 material. Way to go, Munchkin! Each child gets to customize their character and then pick from one of the themes… pirates, dinosaurs, pets, or pixies. Munchkin is currently doing the pixie story but has tried the pirates as well (all detailed in the parents dashboard). As the child completes different math activities they are rewarded with very cute, animated graphics and they earn coins. These coins can be used in the carnival section of the game. The carnival games are not math related and are a nice break for the kids. Munchkin really enjoys “playing” DreamBox. Munchkin will only want to play for 15-20 minutes at a time which is fine because we try to limit the amount of time she spends on the computer. Also, it’s nice for me to have her play DreamBox first, before she goes to her other sites of choice. Recently, DreamBox won PTPA award! Read what PTPA had to say about Dreambox. And you can read about their other awards here. To learn more about DreamBox, you can check out their site: http://www.dreambox.com, like them on Facebook, and follow them on Twitter @DreamBox_Learn. We were given a 3 month DreamBox K-3 math subscription in exchange for my review. All opinions expressed are mine (and Munchkin’s) and have not been influenced in any way.